The most significant subject facing the Church in the 21st Century is the Bible, its Greek text, and the way it is translated. Every Christian doctrine is based on the Bible. The way the Bible reads, the words that it has and the words that it does not have, the way the Greek words are translated or poorly translated, all affect the doctrine of the Church. At one point I thought that most translations of the Bible were basically the same except for the modernization of the old English in the KJV. As you will see for yourself, this is not the case. Most of the modern translations do not have every thing that the KJV does, as a result of changes in the Greek texts from which they are translated. As Christians we need to know what is truth, and what translations of the Bible can be trusted as having all the Words of God. We need a firm foundation, not the shifting sand of Bible versions in which the words are continually changing. My desire is that in the pages of this book you will find which translations can be fully trusted as having all the Words of God, and which translations are based on a Greek text that is constantly changing and can not be trusted as having all the Words of God. The purpose of this booklet is to share with you what has been removed from and added to the Word of God in the modern Greek text, and to alert you to the seriousness of the problems that result in the NIV as well as most of the other modern Bible translations — The Contemporary English Version, The New American Standard Version, The American Standard Version, The Revised Standard Version, The Living Bible, The New Revised Standard Version, The New Jerusalem Bible, The New American Bible, and others. You will find that these translations, which are translated from the same corrupt modern Greek text as the NIV, are missing many of the same words, phrases, and entire verses as the NIV. The main problem with the NIV is in the New Testament with the Greek text that it was translated from. There are two main Greek texts used today for translating English Bibles: The Textus Receptus (The Received Text), and the Nestle-Aland/UBS text. This may some times be referred to as the NU text. “The Hebrew language is very picturesque. Its sentences are short and intensely expressive. The Old Testament is primarily biographical. Hebrew uses vivid and bold metaphor, graphically describing events and their results. Hebrew is a very personal language; even nations are given personality. God reveals Himself in descriptive human terms – attributing to Himself human characteristics and emotions – to aid man in understanding His character. “Greek is a precise, highly technical language. It leaves little room for speculation regarding the intent of the author. “In the New Testament the explanation of ideas and concepts is paramount. Many of the verses explain and amplify the rich symbolism of the Old Testament. The preciseness of the Greek language is an important concept for us to keep in mind. There are those who would like us to think that there is a lot of flexibility and or difficulty in translating from the Greek into English. While that may be true for some Greek words, the preciseness of the Greek language enables us to know with a great deal of certainty what God’s Word actually is. There is no ancient manuscript that reads the same as the modern United Bible Societies 3rd edition Greek text! I discovered that there has never existed an ancient Greek manuscript that reads the same as the Nestle and United Bible Society’s Greek text that the NIV, NASB, and most other modern translations are translated from. These modern translations have not been translated from an ancient Greek manuscript, but from a modern man made Greek text that was compiled from a hand full of ancient manuscripts (primarily from 2 manuscripts) which have many variant readings and many omissions. The Nestle Aland and United Bible Society’s Greek text (NU Greek text) is the equivalent of a 20th century Greek “manuscript” (The NU is a text, not a manuscript, because it is not hand written.) since no one has an ancient Greek manuscript that reads the same as it does. Therefore the NIV is not translated from the oldest manuscripts but from a new Greek text. This is an important point to remember. The NU text is an eclectic Greek text. This is the term used in the preface of the NIV Bible to describe it. The term “eclectic” is defined by The World Book Dictionary 1982 edition as: “Selecting and using what seems best from various sources, systems, or schools of thought.” Webster’s New Twentieth Century Dictionary (Unabridged) defines eclectic as: “Selecting; choosing; not original nor following any one model or leader, but choosing at will from the doctrines, works, etc., of others.” The NU is a text that has been pieced together by scholars with readings selected from various ancient manuscripts in an attempt to assemble a text that that they think is closest to the original manuscripts. This sounds like a noble and righteous attempt at first until one realizes that the result is a man made text that is different from all existing ancient Greek manuscripts. The UBS 3rd and Nestle Aland texts are based on only a few manuscripts that don’t agree with each other or with the majority. You will see how few in the chapter: Manuscript evidence given by the UBS Greek text. You will also be able to see that these manuscripts do not agree with each other. The few number of Greek manuscripts that the changes in the NIV is based on is shocking when one realizes that there are over 5000 New Testament manuscripts and the weight of the rest has largely been ignored even though there are other manuscripts that are of the same age and the majority are in agreement. The term “best manuscripts” needs to be understood from the view point of highly educated scholars who are looking at the quality of the manuscript parchment, how little is missing, and the age of the manuscript. The term “best” is not how many Christians interpret it in thinking about the Word of God, that best means the text is very accurate and reliable. From my research in examining the NU Greek text, most of what has been removed from the NIV, is based on Codex Sinaiticus, and Codex Vaticanus. These are the oldest manuscripts that are listed in the footnotes of the United Bible Society’s 3rd. edition Greek text for the majority of the passages where something has been removed. There are literally thousands of omissions, additions, and other changes in each of these manuscripts. What is significant is that where they differ from the way the majority of the Greek manuscripts read, the omissions, additions, and other changes are not the same in both manuscripts. These two manuscript do not read the same, they are not identical. Those who write in support of the NIV sound convincing. However, I encourage you to evaluate carefully what they are saying. I have discovered that there are major gaps in the logic for the modern eclectic Greek text. Often there are opinions that are stated as facts without ancient manuscript proof given to back up what they are confidently saying. An example of this is in explaining why a particular phrase is not in the NU Greek text, they state that a particular phrase is clearly an example of a later scribe adding a phrase to make it read like another passage. They do not give the manuscripts that contain the phrase and the ones that do not, and the dates of the manuscripts so that you can judge for yourself that it is clearly inserted by a later scribe. When I would look up the evidence on the phrase, I would find that it was not as they made it appear. Often I found evidence (For example, the writings of the early church fathers) that was at least the same age and sometimes older than the manuscript that did not have the phrase, that included the phrase. They also write from the premise that the early Alexandrian/Egyptian manuscripts, especially Codex Vaticanus and Codex Sinaiticus, read closest to the originals. I raise this question: “Why would the Alexandrian/Egyptian manuscripts read closest to the originals when most of the original copies of the New Testament books were sent to Asia which was on the other side of the Mediterranean Sea?” None of the original books of the New Testament were sent to Egypt. 1) None of Their Ancient Manuscripts Agree with Each Other!!! 2) They do not give factual Manuscript Proof to support Codex Vaticanus and Codex Sinaiticus. No factual manuscript evidence is given to show why Codex Vaticanus and Codex Sinaiticus are considered such great manuscripts by scholars today. No explanation is given why Codex Vaticanus and Codex Sinaiticus should carry so much weight when they disagree so much with each other. It is implied that it is because they are old but there are other manuscripts that are older than they are as well as some that are of the same age. They expect us to accept their value judgment without giving us proof. From the passages that I have researched, many of the omissions are based primarily on these two manuscripts with some other later manuscripts supporting them. John Burgon states about these two manuscripts: “And let it be remembered that the omissions, additions, substitutions, transpositions, and modifications are by no means the same in both. In fact it is easier to find two consecutive verses in which these two differ from one another, than two consecutive verses in which they entirely agree! !”8 Why should manuscripts like these be used to change the way Scripture should read especially to remove words, phrases, verses or entire passages? It is implied that the NIV is translated directly from the oldest manuscripts but this is not the case. The NU Greek text that the NIV is translated from is actually a 20th century “manuscript” (text). There is not a single ancient Greek manuscript that reads the same as it does! I repeat, there is not a single ancient Greek manuscript that is identical to the NU Greek text! The NU text is not a fixed Greek text. It is continually changing. The Nestle Aland text has 27 editions. The United Bible Societies text has four editions. There is already a new addition of the modern NU Greek text that has come out since the NIV was first translated. The NU text is like sand and is not a firm rock. (see Matt. 7:24-27) Not near all of the thousands of omissions and changes in the Sinaiticus and Vaticanus manuscripts have been adopted in the NU text. There is much more that can be changed even without any new manuscript discoveries. You will be able to verify for yourself later in this book in the chapter “Manuscript evidence given by the UBS Greek text” that the manuscripts that the NIV is based on do not read the same. You will also be able to see for yourself that there is not even one manuscript that is listed for every verse that was changed. In the books that I have found, the writers who defend the NIV often state things as fact without giving factual ancient manuscript evidence to prove why what they are saying is true. If you have read any of these books, you need to be very discerning about what you have read because Satan wants to deceive us. If you look up the ancient manuscript evidence and the writings of the early church fathers who quote the phrases or verses that are missing, you will soon see that what the NIV supporters are stating is not the same as they make it sound. They are long on rhetoric and they speak confidently that what they are saying is fact. However, upon closer observation one realizes that they are stating opinions as fact. They do not give factual ancient manuscript evidence of the manuscripts that contain a variant and those that do not, to prove what they so confidently affirm. They give just enough information to get one to believe what they want us to believe. The eclectic method is not an exact science. It is very subjective. Is the Textus Receptus based on one ancient Greek manuscript ? No, the Textus Receptus is not based on one ancient Greek manuscript. Of all the ancient Greek manuscripts, there is not one ancient manuscript that contains all of the books of the New Testament. Sinaiticus and Vaticanus contain the most number of books, but they do not have all of the books of the N.T. Some manuscripts contain only the Gospels, some only the epistles or some of the epistles, some only the book of Acts. Many are fragments in which parts are missing because of their age. Therefore it is an impossibility for a Greek text, the TR or the NU to be based on only one manuscript. An ancient manuscript can read exactly the same as the TR for the passage it covers, but that does not mean that the TR is translated only from that one manuscript. There is a need for a compiled Greek text of the complete New Testament, because none of the ancient Greek manuscripts contain the entire New Testament. That is why the Textus Receptus and the NU Greek texts were compiled, to give Bible translators a complete Greek text to translate the New Testament into modern languages. Is the Textus Receptus eclectic? No, the Textus Receptus is not an eclectic text. This is a significant point. If the Textus Receptus was also eclectic there would be little difference between the TR and the NU texts because they would have the same kinds of problems. The scholars who support the NU text often lead a person to assume that the TR is also eclectic. They give facts that lead to that conclusion. But if you observe carefully what they say they are not foolish enough to state that the TR is an eclectic Greek text. The TR is a compiled Greek text but not an eclectic Greek text. There is a fundamental difference between the way that the TR and the NU Greek texts are compiled. Because none of the ancient Greek manuscripts contain all of the New Testament, in order to have all the books that have been canonized in the New Testament, the New Testament has had to be compiled from a number of ancient Greek manuscripts. The TR used manuscripts that have the same reading as each other, where they contained the same passages of Scripture. The TR is a compiled text because a number of Greek manuscripts had to be used to supply all the books of the Bible. At the same time, approximately 90-95% of the Greek manuscripts have the same reading as the TR. These manuscripts are not all identical in that they do not each contain the same passages of Scripture, and misspellings, differences in punctuation (things that fall under the category of “typos”). Where these manuscripts contain the same passages, the basic reading is the same. This is the significant difference between the majority of the manuscripts and the small group of manuscripts that the NU text is based on. Why aren’t the same standards used to discredit the TR as are used to discredit the NU? The only reason the NU text can be discredited is because the same standard is applied to the TR and to the manuscripts it is based on. If both texts had the same characteristics, the NU text could not be discredited. That is why supporters of the NIV try to make the TR appear to have the same characteristics as the NU text rather than prove the allegations against the NU text are false. Should the majority be considered right when it comes to examining variations between manuscripts? An assumption should never be made that the majority of manuscripts is always right. There are a number of other things to also look at. There are a number of old versions as well as some of the writings of the early Christians which date from the same time as Sinaiticus and Vaticanus. Some of the evidences are 100 years or more older than Sinaiticus and Vaticanus. One example of this is finding I John 5:7-8 quoted by Cyprian in AD 251. A big consideration also is the characteristics of the manuscripts that contain the variant reading. Sinaiticus, Vaticanus, C, D, L, and W each have a large number of corrupt readings that none of the other five have, as well as a large number of corrupt readings in which only one or two of the other five have. There are very few variant readings where all six have the same reading – I believe there is only one! The NIV, NASB, and a number of other modern versions do not completely follow the NU Greek text in translating. Some places they use the Textus Receptus or other sources rather than strictly translating from the Greek of the NU Greek text. In researching what was changed in the Bible in the NIV, it was not a simple matter of comparing the Textus Receptus and the NU Greek texts and noting what was changed. There were many places where something was removed or changed in the Greek in the NU Greek text but it was not removed or changed in the NIV. I also found that if something was missing in the NIV it did not automatically mean it was also missing in the NASB and vice versa. Each translation has done its own picking and choosing on conflicting readings. By not strictly translating from the NU Greek text, the translators of the NIV, NASV, and others testify that the NU Greek text is not completely reliable. There is a significant amount that has been removed in the NIV from Scripture that has important information. In some cases it may be only a word or two that was removed but it was part of the “meat” of that verse. In most cases an entire phrase is removed such as “For the son of man is come to save that which was lost” Matt. 18:11!! The main issue with the NIV is not the modernization of the English and the modernizing of the “thees” and “thous” but what the NIV has removed from God’s words. 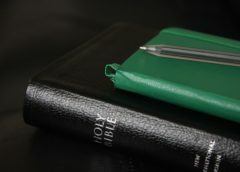 One of the key arguments in books supporting the NIV translation is that no essential doctrine has been removed, and that a particular phrase in question can be found elsewhere in the Bible. This is an argument that I have heard and read many times. This reasoning is used to make it appear insignificant what the NIV has removed from God’s Words. The reason this argument is probably stressed is because some of the other earlier translations that were based on earlier editions of the modern eclectic Greek text totally omitted the virgin birth and the blood of Jesus. The NIV to the best of my knowledge does not totally remove any essential doctrine from Scripture. However; that is part of Satan’s deception. Satan learned from his mistake and was more subtle in the NIV. 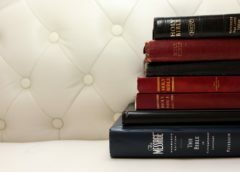 The argument that it is okay to remove something as long as all reference to a particular doctrine is not removed is a poor argument when applied to Scripture. God’s Word is truth and is pure. “Every WORD of God is pure: he is a shield unto them that put their trust in him. Add thou not unto his WORDS, lest he reprove thee, and thou be found a liar. “Prov. 30:5,6 “What thing soever I command you, observe to do it: thou shalt not add thereto, nor diminish from it.” Deut. 12:32 God has commanded us over and over not to add to, or to take away from His Words. It is amazing, with the argument that no essential doctrine has been removed, that the term doctrine itself has been almost totally removed in NIV. The KJV has the word doctrine 50 times. The NIV only has the word doctrine 5 times! The NIV usually uses the words teaching or instruction. These terms convey a somewhat different thought than doctrine. Teaching and instruction is what one does. Doctrine is what one believes. Today the Church focuses on issues and often uses the term issues rather than doctrine. Issues are controversial, each person has their own opinion. God says doctrine is either sound doctrine or false doctrine. In thinking of doctrine, as you look at individuals and churches that you know that have made significant changes in what they believe and practice in the last 20 years, what translation of the Bible do they use? Is it a modern translation? Or is it the KJV? The individuals and churches that have not made significant changes in what they believe and practice, what translation do they use? The KJV or a modern translation? What you want to look for is a cause and effect sequence of the majority of persons and churches. There are always a few individual people or churches that do not fit into the pattern of the majority. Wisdom is the ability to see cause and effect sequences of things, actions, and teachings, and then make decisions that steer us toward a closer walk with Jesus, rather than on a course where the majority of the people on that path are moving away from Him. The result of significantly changing the phrase order is that it is difficult for the KJV/NKJV and the NIV to exist together in a congregation. If someone is reading in the NIV translation, it is easy to get lost following along in another translation and vice versa. What the moving around of the phrase order does, is it hides what the NIV has removed, added, and changed so that it is not readily apparent. It makes the comparison of the NIV and the KJV much more difficult. The moving around of the phrase order and hiding the verse numbers in paragraph form has probably been the main reason most of us never discovered all the phrases and verses that had been removed before this. One of the interesting things about the Bible is that God wrote it in such a way that a person cannot fully understand it without the Holy Spirit giving understanding. Jesus also purposely used parables when speaking to the multitudes so that they would not fully understand what He was talking about9. He would then reveal at a later time to those who were totally committed to Him what He was saying (that was before the Holy Spirit was given). Understanding of Scripture is in relation to how much one hears and how much one wants to hear what God is telling them. Jesus said “Take heed what ye hear: with what measure ye mete, it shall be measured to you: and unto you that hear shall more be given. For he that hath, to him shall be given: and he that hath not, from him shall be taken even that which he hath.” (Mk. 4:24,25) One’s ability to understand what God is saying in the Bible is not in relation to the Bible knowledge one has nor one’s understanding of the definitions of Bible words. One of the main reasons that many have chosen the NIV is so that it would be easier to understand and easier for new Christians to understand. The NIV has been around now for about 20 years and it is time for some evaluating. 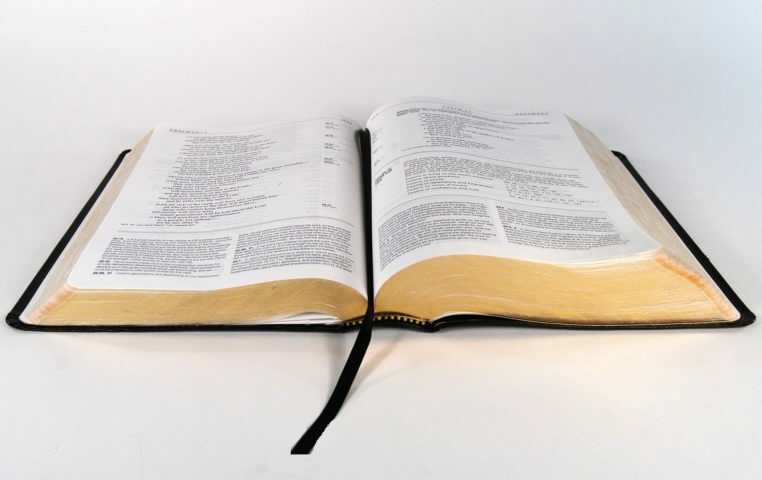 Is the NIV resulting in people better understanding God’s Word than the previous generation? The proof of true understanding is obedience. Is our generation (the baby boom generation) walking in closer obedience to the Word of God than the previous generation that had the KJV? Does Generation X have a better understanding of God’s Word, and are they walking in greater obedience to the Word of God than the previous generation? Is there a firmer belief that the NIV has the very words of God and that they are valued, memorized and meditated upon? My observation is that the NIV has not resulted in greater understanding and obedience to God’s Word. I originally thought that the main verse in the Bible that said we should not add to or remove from the Word of God was in Revelation 22:18,19. Since that verse was in the context of the Book of Revelation, I assumed it only applied to the Book of Revelation and that God did not say much in the rest of Scripture about adding to, or removing from His Word. What I discovered when I searched for verses on this subject was that it is a concept that God gives us throughout all of Scripture. Why are we not to add to or remove from God’s words? What happens when God’s words are added to or removed? God will add to that person the plagues written in the Book of Revelation and God will remove that person’s name from the Book of Life!!! Note how often God speaks about His individual Words. I Pet. 1:23-25 “Being born again, not of corruptible seed, but of incorruptible, by the word of God, which liveth and abideth for ever. For all flesh is as grass, and all the glory of man as the flower of grass. The grass withereth, and the flower thereof falleth away: But the word of the Lord endureth for ever. And this is the word which by the gospel is preached unto you. How many variations and of what kind can we tolerate in a text before we say it is the work of Satan? There will possibly always be some question about the right wording for a few passages in the TR. However, the NU has not followed the reading of even one manuscript, but has added words to and removed words from each of the manuscripts that it is based on. The NU text can not claim that it has neither added nor removed words from each and every manuscript that exists. When we look at the differences that exist between the TR and the NU, the NU has made hundreds of significant changes in areas that Satan wants to undermine — the deity and Lordship of Jesus Christ, salvation, and the Judgment, prayer and fasting, and others. Why the Textus Receptus can be trusted as having the Words of God. The Textus Receptus is an established, fixed Greek text that has been held by Christians for almost 500 years as having the very Words of God. Approximately 95% of all known Greek manuscripts have the same reading as the Textus Receptus. It is not an eclectic Greek text that has been pieced together from conflicting manuscripts like the NU Greek text. The vast difference in reading between Sinaiticus, Vaticanus, A,C, and D when compared with each other, not to mention when compared with the majority, tell us that these are inferior, corrupt manuscripts that can not be trusted or relied on as containing the very Words of God. God tells us that He has preserved the very words of His Word. The majority of the manuscripts agree with each other and the Textus Receptus is based on these. We have a choice between two Greek texts: The NU which is based on a few manuscripts that have significant differences in reading from each other and from the majority of manuscripts in 1000’s of places, and the TR which is based on over 5000 Greek manuscripts which agree. The Textus Receptus is the one we can put our confidence and trust in as containing the very words of God’s Word. It is not based on a handful of corrupt manuscripts. The following passages address facts that are easily verified. 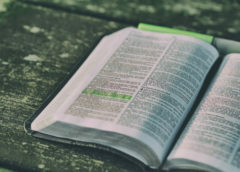 Because of the seriousness of the situation with how God’s Word has been handled the following passages address only facts that you can easily verify – what has been removed from and added to the Bible in the NIV translation. This section addresses changes that have been made to the Bible because of the Greek text that the NIV is translated from. Many of these words, phrases, and verses are also missing in the NASV, the ASV, the RSV, the NRSV, the Contemporary English Version, the New Jerusalem Bible, the Living Bible, the New American Bible, and others which are translated from the same incomplete Greek text as the NIV. This section does not address the more subjective issues of how Greek words have been translated. Where it is mentioned that something is changed to a different reading, it is the NIV’s Greek text that has also been changed. It is not a translation issue of how a Greek word should be translated. For those who do not know Greek, a good way of evaluating the differences between the Textus Receptus and the modern NU text is to compare the NIV side by side with the KJV (or with the New KJV which notes in the margin some of the following omissions); and note what has been changed and removed in the NIV, since the NIV is based on an eclectic Greek text which is different from the Greek text that the KJV was translated from. Essentially what you are doing is comparing the two different Greek texts in English in addition to comparing the two translations. Then look at your findings as a whole to see what the pattern is in the differences. Are they petty differences, such as different ways of saying the same thing? Or are they significant changes which remove or alter important concepts in the Bible? You don’t have to be a scholar or know Greek to do it. Then you can go to the Greek and research the differences further. One problem you will encounter in comparing the NIV and the KJV is that the NIV significantly changes the word order of many verses. Sometimes it takes a while to discover what has been removed and what has just been changed around. Don’t give up. The more verses you check out for yourself the more it will stand out to you the broad scope of Satan’s work in the NIV. ( * ) – indicates an entire verse that was removed. All of the passages listed below are not subjective opinions of how a word or phrase should be translated from the Greek. These are all facts. The following is not in the NIV and its Greek text, or has been added in the NIV and changed in its Greek text. Matt. 19:17 removed – “God” (From “And he said unto him, Why callest thou me good? there is none good but one, that is, God: but if thou wilt enter into life, keep the commandments”) Also part of v.17 is changed because “good” was removed in v. 16. Matt. 22:32 “God” is changed to “He” implying that Jesus did not consider Himself as God. Titus 1:4 removed – “Lord” Also removed “mercy” (From “To Titus, mine own son after the common faith: Grace, mercy, and peace, from God the Father and the Lord Jesus Christ our Saviour). It is also claimed in “A Textual Commentary on the Greek New Testament”, the companion book for the UBS 3rd edition of the Greek Text that this passage is quoted by none of the Greek Fathers.10 However, I found that Cyprian quoted it in 251 AD. Both the NIV and the NASB treat the elimination of this verse in different ways. Other places they eliminate verses without any attempt to reorder the verse numbers. Here the NIV splits up verse eight to give the appearance that there is a verse seven. The NASB divides verse six to create a verse seven. This section reveals some of the most significant phrases and verses that have been removed in the NIV. It would be one thing if a verse or two had been changed on the gospel message. Even that would be serious. But verse after verse has been changed on Salvation and the Judgment. You will see in the section “Manuscript evidence given by the UBS Greek text” that these words, phrases, and verses are missing in only a few manuscripts, and that they are not always missing in the same manuscripts. There is also a high number of passages where there is no manuscript basis given for the phrases that have been removed. The translators of the NIV lead us to believe that they have only removed erroneous phrases. We raise this question: Why are these words, phrases, and verses that were removed error? Rev. 11:1 removed – “and the angel stood” (from “And there was given me a reed like unto a rod: and the angel stood, saying, Rise, and measure the temple of God, and the altar, and them that worship therein. Prayer and fasting are an important action in spiritual warfare against Satan and his kingdom. The importance of prayer and fasting is significantly weakened in the NIV by what is removed. A significant amount has been removed in the NIV from the Crucifixion and Resurrection account. See also the section “Inaccurate Translation of words in the NIV”. One of the things you will observe in this section is that there is a lot of significant information that has been removed from the Word of God in the NIV. Satan’s tactic has not been to completely remove doctrines from the Bible, but to remove parts of sentences here and there. The result is that what God says in His Word is weakened in the NIV and most modern translations. What is changed and removed in the NIV does not strengthen God’s Word. If it was error, the Scriptures would be strengthened by it being removed. Mk. 1:2 added – “in Isaiah” (in “It is written in Isaiah the prophet:” NIV) It is a quote from Mal. 3:1 not Isaiah!! Mk. 9:38 removed – “answered him”; and “and he followeth not us” (From “And John answered him, saying, Master, we saw one casting out devils in thy name, and he followeth not us: and we forbad him, because he followeth not us. Mk. 12:30 removed – ” this is the first commandment.” (from “And thou shalt love the Lord thy God with all thy heart, and with all thy soul, and with all thy mind, and with all thy strength: this is the first commandment. Rev. 11:17 removed – “and art to come”(from “Saying, We give thee thanks, O Lord God Almighty, which art, and wast, and art to come; because thou hast taken to thee thy great power, and hast reigned. This chapter is probably the most important chapter in the whole book. Here you can see for yourself the manuscript evidence that the compilers of the NU text give for what they have removed and changed in the Greek text. It is one thing to read a book in support of the NIV and the reasonings that are given in general and ambiguous terms. It is another to see the actual manuscript evidence that is given for yourself. These are the only early Greek manuscripts that NU Greek text quotes that did not have the reading. When it is stated that the “best” manuscripts do not have a particular reading, these manuscripts are what they are referring to. Each manuscript is identified by a letter, number or a combination of a letter and a number such as: C, 085, or p35. The date of the manuscript is beside it so that for each passage you can tell at a glance the age that they give for each manuscript. Notice that the two main manuscripts given as the basis for removing something from the Word of God are the manuscripts Sinaiticus and Vaticanus. But notice that they do not always have the same reading (both are not always listed together). The Sinaiticus and Vaticanus do not always have the same word, phrase, or verse removed. Notice that they are not identical manuscripts. Notice how only a few early manuscripts before 800 AD support a word, phrase, or verse being removed. It indicates a significant amount of subjectivity on the part of the compilers of the NIV’s Greek text (The NU Greek text) as to what would be removed. These manuscripts are not identical. They do not read the same as each of the others. Note the frequency of no manuscript documentation for something being removed. Of the 60 passages listed here, 28 of them — that is almost half of the passages — do not have any documentation by the UBS 3rd edition Greek text for why it was removed from the Word of God! The UBS 3rd edition Greek text has considerable documentation for phrases with variant readings where it was decided to keep the traditional reading. It surprised me how often it left out documentation when it removed something significant. To remove subjectivity on my part in the selection of verses to use as examples here, I chose the first 30 verses in each of the two most important sections: the Deity of Jesus Christ and His Lordship, and Salvation and the Judgment. One would assume that verses in these sections would be the best documented with manuscript evidence because of the significance of what is being removed or changed. The NIV is a thought for thought translation as opposed to a literal translation. Each passage of God’s Word is rich with thoughts or insights. Each time you read it new insights stand out. If you have ten people read a passage they might each have something different that stands out to them. Of those insights or thoughts, which one should a translator translate for? When the translators translate for a specific insight (thought), it limits the full range of insights and applications to our lives that that can be gleaned and that God intended. When translators translate thoughts rather than words they destroy the translation’s usefulness for Bible study. There are many places in the NIV where the thought is similar but words have been left untranslated from the Greek and others have been added that are not in the Greek in order to give the thought that they are “translating”. The result is that there are many filler words that are the words of men rather than the Words of God. Because the NIV does not indicate the words which were added like the KJV does, in reading only the NIV, one has no way of knowing which words were added and are the words of man and which words are the Words of God. Most Christians have had no way of verifying the NIV’s accuracy. They have ignorantly relied heavily on it, assuming that it is a literal translation. There are a number of passages that I have memorized and meditated upon and then read them in the NIV. I discovered that not all the insights could be gleaned in the NIV because of the way they had translated for a specific insight. I further discovered in looking up the Greek that the NIV’s selection of words for those passages was not as accurate a translation. This is the type of thing that one cannot discover by a casual reading of the passage. At first glance they appear to say the same thing. An example of translating for a thought rather than literally is in Matt.19:9 (the exception clause on divorce) where the word for fornication/adultery is translated “marital unfaithfulness.” At first glance the term seems to mean the same as adultery. However, “marital unfaithfulness” is a broad term that can give “license” in many situations. There is never a divorce where marital unfaithfulness does not exist. The act of divorce is the ultimate act of marital unfaithfulness. The term “marital unfaithfulness” is not a literal translation from the Greek. 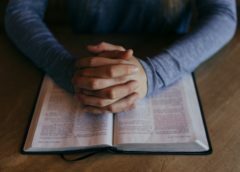 The problem with the NIV is that we may be understanding what the NIV is saying, but is it what God said? This section was included to show how the inaccurate translation of words in the NIV is affecting the application of God’s Word in the lives of Christian’s today. This is not a complete list of inaccurate translations in the NIV. Fortunately, today we have resources that we can find out what the Greek words mean without needing to know Greek. It is easy and fun to look up words in the back of the Strong’s concordance or to click on the Strong’s numbers on a Bible computer program and find out for yourself what the word really means. I am including the Strong’s numbers in parentheses following the word being discussed. I strongly encourage you to look some of the Strong’s numbers up for yourself. It is one thing to read the following, but when you check things out for yourself, you see first-hand the poor translation and mistranslation of some of the words in the NIV. Rom. 5:19 NIV adds – “man” (in “one man the many will be made righteous.) “Man’ is not in any Greek text! Ps. 19:7 “The Law of the Lord is perfect converting (7725) the soul.” (KJV) The NIV has “reviving”. The Hebrew word means a definite turning around, getting back, not refreshing. In doing a word study on the “exception” clauses (Matt. 5:32; 19:9), I have found no basis for the NIV’s translation – “marital unfaithfulness”. It is more accurately translated “fornication, prostitution, or adultery”. The phrase “marital unfaithfulness” allows for much more than adultery as a basis for remarriage. As I stated earlier the term “marital unfaithfulness” at first glance appears to convey a similar thought as the Greek word, because we come from the perspective of knowing what it means and read it as meaning adultery. However, for one who has not come from a KJV background or for one who is going through a divorce or who is divorced, the term “marital unfaithfulness” can have a totally different meaning. It allows remarriage after every divorce. Divorce is the ultimate in marital unfaithfulness. The one who initiates the divorce is maritally unfaithful. In every divorce, at least one spouse, if not both, view the other as maritally unfaithful. If they are both committed to each other, why would they divorce? If each one agrees to the divorce, they are both maritally unfaithful. The term “marital unfaithfulness” is a broad term that also gives a license for a spouse to divorce and remarry because they view the other spouse as not being faithful. Some examples are: feeling rejected, an unwillingness to work together, separation, or verbal or physical abuse. The Greek word does not give any of these implications, nor does the rest of Scripture. The footnote in the NIV which indicates that this passage can be translated to mean the woman’s hair is the covering is wrong. There is no Greek manuscript that contains this reading as they imply. Rather they have added and deleted words to twist the Scripture into having the “thought” that they wanted it to have. 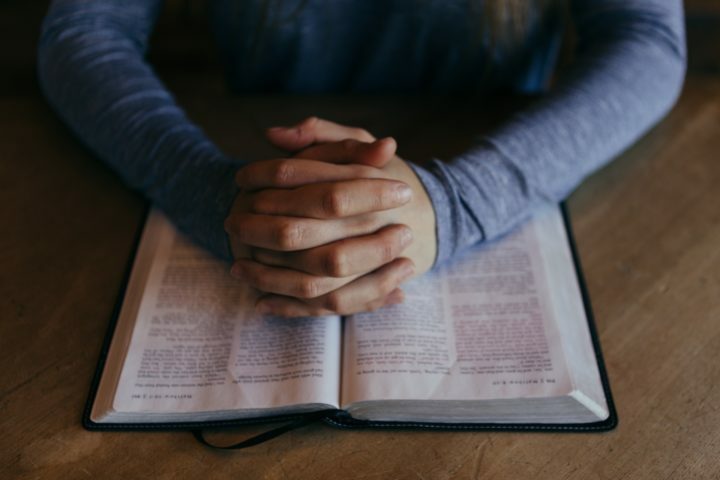 The Mennonite church has had a rapid decline in women wearing a prayer veiling, as women have adopted this interpretation since the NIV came out. When something is continually before you as a trusted source, you soon accept it to be true even if it is error. The NIV has changed a number of passages that address unity of thought among Believers, to conform with the modern interpretation of unity in the Church that says we agree to disagree. These changes in the NIV hide from Christians what God says about unity among believers. In the following passages in Acts, the phrase “with one accord”, Strongs #3661 — “unanimously, with one accord (mind)” — is inaccurately translated “together” in the NIV. I Cor. 1:10 Lit “that you all speak(3004) the same thing(846)” NIV “That all of you agree with one another”. The word agree does not give the complete thought. Everyone speaking the same thing has greater implications than just agreeing. People agree to disagree but they are not speaking the same thing. The following is a partial listing where the name “Jesus”(2424) has been removed in the NIV even though it is in the Greek! Heb. 12:6 “scourge”(3146) NIV “punish” The NIV removes the only reference in the New Testament to corporal punishment. Luke 11:4 (The Lord’s Prayer) NIV “we also forgive everyone who sins against us”. A literal translation is “indebted”(3784) which includes “sins” but also means much more. The term fornication, which means sexual relations before marriage, is not used at all in the NIV. Ps. 119 “testimonies”(5715) is changed in the NIV to “statutes” every place the word “testimonies” is used. The word “behold” is left untranslated many times in the NIV. The KJV uses italics to indicate words which are not in the Greek which the translators added to make the English flow smoothly. When you see a word in italics you know right away that it is not part of the Greek, and you know not to base insights and interpretations on that word or words. However, when a translation such as the NIV does not use italics, a person does not know which words are translated words and which words are filler words. Therefore a person may be basing an insight or interpretation on the words of men rather than on the Words of God and not know it. By not using italics in a translation where the insight (thought) is translated rather than the literal words (such as the NIV), the words of men are elevated to the same status as the Words of God. That is wrong. There are some verses where not using italics does not make much difference. But there are other passages where it does, especially in a translation like the NIV that is not a word for word translation. Many persons and churches who have made great changes in what they believe and practice from 20 or 30 years ago have done so after changing Bible versions. The NIV is more than just another way of saying what the KJV says. Subconsciously, it undermines the authority of God’s commands (thus says the Lord) and it subconsciously encourages one to interpret God’s commands in whatever way they would like. The New International Version has added words, removed words, retranslated words, and mistranslated words to create it’s own version of what God said. People then feel free to create their own version of interpretation of what God says – everyone does what is right in their own eyes. The standard response has been that the Bible is the final authority. However, with such a large number of versions of the Bible and many saying things different, that response has become ambiguous. Each person can pick and chose from the smorgasbord of Bible versions the readings what he or she likes best and then do what is right in their own eyes. Subconsciously, each person becomes the final authority rather than the Bible. The Church has put higher education and those with doctor’s degrees on a pedestal. 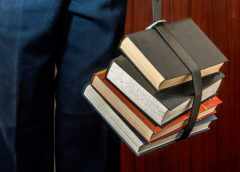 Higher Education has become a high place in the church. Subconsciously those in the church today have taken the view that those who are more educated are the ones who have the authority to interpret the Bible and say how it applies to society today. Those who are less educated are hesitant to speak authoritatively on Bible doctrine because they do not have the education that other’s do. This view by Christians is a mistake. Jesus rebuked the professors and scholars (the scribes and Pharisees) over and over because they did not understand the Scriptures. Jesus called these highly educated religious leaders: you fools, hypocrites, blind leaders of the blind, whited sepulchers, serpents, and brood of vipers (Matt. 23). It would be a mistake to say that every highly educated person teaches error. The Apostle Paul is a New Testament example of a highly educated man who spoke the truth, and God used him mightily. However, his education was not what qualified him for the Lord’s service. It is also a mistake to assume that a highly educated person is best qualified to interpret Scripture and to say what is truth and error. The error and misinformation that the scholars have taught us about the NIV and the NU Greek text is only the tip of the iceberg of false teaching that we are receiving from scholars today. In researching other doctrines, I am discovering that there are many, many things which are being stated as fact and are believed as fact by many highly educated people, but it does not line up with historical evidence or other passages of Scripture. I am discovering that many are not true scholars. They are merely puppeting what others have told them. There are few who have searched the real evidence for themselves. Many are relying on the research of others, and are merely repeating what they have read or been told not realizing that it is not accurate information. As Christians we must reject the Ph.d. pedestal and not honor one Christian’s teaching over another because of their higher education. In fact the opposite of what is commonly believed is true, the more education that a person has, the less likely they are to understand the truth of God’s will and His Word. God tells us in the above verses that He has hid His things from the wise and prudent and has revealed them unto babes. This is true today. There are many highly educated persons who can speak in great and glowing terms but who do not understand the truth of God’s Word. 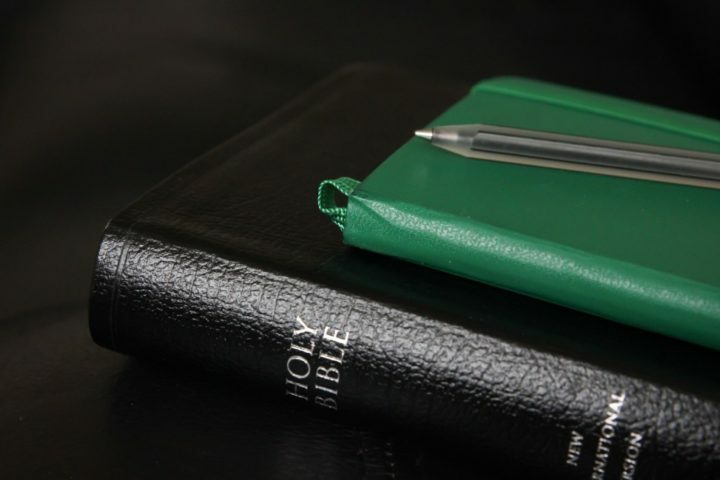 If you evaluate what they are saying closely, you will discover that they are approaching the Bible as either a literary book or as a history book; and not as a living book that contains the very Words of God which applies directly to us and our culture today. The NIV and KJV cannot both be called good translations. We have before us this situation: The KJV and NIV do not totally have the same content. The NIV does not have much that the KJV has. God has told us that it is sin to remove from His words in the Scriptures. Because of this we cannot call both the KJV and the NIV good translations. What translation should I use? The most important consideration is not the translation one chooses but the Greek text that was used by the translation to translate from. At the present there are only a few translations that are based on the traditional text (Textus Receptus): The KJV, the New KJV, the Modern KJV, the Literal Translation and the 21st Century KJV. The KJV is an excellent translation that has stood the test of time. The “out of date” words are easily learned by expanding your vocabulary to include them. I know a number of Christians who did not grow up in a Christian home who use the KJV and have a better grasp of Scripture than many Christians who grew up in Christian homes and who now use the NIV. I had no problem understanding the KJV language as a child. The New KJV for the most part reads close to the KJV. However there are some questions about its accuracy. I have discovered that the Old Testament is translated from a modern Hebrew text. I do not know much at this point what has been altered in this text. I would appreciate seeing any findings that you have on the NKJV. The NIV cannot be trusted. Its publisher (Zondervan) is owned by non-Christians that have no interest in serving Jesus as Lord and being faithful to His Word, but only in making money off of gullible Christians. (Why should Christians go into Satan’s camp to get their Bibles?) Its Greek text is corrupt and is being continually revised, leaving the NIV with a corrupt and changing foundation. Jesus told us to be like the wise man and build our house upon a rock and not upon shifting sand. What is your choice? Will you build your Christian life upon the solid rock of God’s Word which we find in the KJV and the other accurate translations based on the TR, or will you build your life on the shifting sand of the NIV and other modern translations which are based on the NU Greek text? Bill and Kate recently bought a brand new home and they are so proud of it! A spacious house it is, complete with the wide front porch and gingerbread trim they’ve always wanted. Preparing to move, they chose the most professional, acclaimed movers in town. These movers had been to college for their profession and were THE movers in town. In Bill and Kate’s 20 years of marriage and in their many travels to other countries they had acquired many valuable items. They wanted everything moved with the greatest of care. Moving day came and went and Bill and Kate were soon greatly enjoying their new home. They enjoyed entertaining and were soon having friends and neighbors over. One day Ken and Judy, some old friends of theirs from another state, came to spend a few days with them and to see where they now lived. How happy they all were to see each other. Of course, Bill and Kate immediately showed Ken and Judy through their new home. And they told them how they were so happy with the movers. They were so professional and even wore suits instead of T-shirts and jeans. The movers had the best of manners and spoke with such refined speech. That night as Ken and Judy were getting ready to retire for the night, they were talking about the house. “They sure do have a nice house!” said Judy. The longer Ken and Judy were there, the more things they noticed were missing. Judy noticed that half of Kate’s best silverware was gone. There were other things such as the handmade rug from India, a flowered fan from China, a hand blown vase, an old afghan from Aunt Martha, a tiffany lamp, a drawer out of the refrigerator, the rungs off a rocker, the piano bench, the computer keyboard, and one string on the guitar. They kept mentioning more and more things to Bill and Kate. What a ridiculous little story! Most of us would be up in the air if we knew of just one thing that had been stolen from us. And yet, how many people have had the very words of God stolen out from under their noses and yet either don’t know or don’t care? How many people bow before The Scholars saying, “You know best. You know best,” instead of agreeing with a God who says, “Heaven and earth shall pass away, but my words shall not pass away.” and “Every word of God is pure.” ? If in your research you find any of the information in this book to be incorrect, please send me a copy of the proof. I would very much like to see it. I am primarily interested in facts, not personal opinions. Each person is entitled to an opinion. However, opinions or information that can not be proven with verifiable facts are merely opinions. Thank you! S. Franklin Logsdon (1907-1987) was a respected pastor and popular Bible conference speaker. In the 1950’s he was invited by his businessman friend Franklin Dewey Lockman of the Lockman Foundation to prepare a feasibility study which led to the production of the New American Standard Version (NASV). He also helped interview some of the men who served as translators for this version. He wrote the Foreword which appears in the NASV. In the later years of his life Logsdon publicly renounced his association with the NASV and other modern versions and stood unhesitatingly for the KJV. What he has to say is significant in light of the fact that many scholars have told us that the NASV is a superior translation and one of the most accurate. Logsdon states several times that the KJV is absolutely correct and can be fully trusted. It has been tested as no other piece of literature has ever been tested. He also goes into detail about the history of the 1881 English Revised Version and the 1901 American Standard Version. “Back in 1956-57 Mr. F. Dewey Lockman of the Lockman Foundation [contacted me. He was] one of the dearest friends we’ve ever had for 25 years, a big man, some 300 pounds, snow white hair, one of the most terrific businessmen I have ever met. I always said he was like Nehemiah; he was building a wall. You couldn’t get in his way when he had his mind on something; he went right to it; he couldn’t be daunted. I never saw anything like it; most unusual man. I spent weeks and weeks and weeks in their home, real close friends of the family. “Well, up to that time I thought the Westcott and Hort was the text. You were intelligent if you believed the Westcott and Hort. Some of the finest people in the world believe in that Greek text, the finest leaders that we have today. You’d be surprised; if I told you, you wouldn’t believe it. They haven’t gone into it just as I hadn’t gone into it; [they’re] just taking it for granted. “At any rate we went out and started on a feasibility report, and I encouraged him to go ahead with it. I’m afraid I’m in trouble with the Lord, because I encouraged him to go ahead with it. We laid the groundwork; I wrote the format; I helped to interview some of the translators; I sat with the translators; I wrote the preface. When you see the preface in the New American Standard, those are my words. “Dr. David Otis Fuller in Grand Rapids [Michigan]. I’ve known him for 35 years, and he would say (he would call me Frank; I’d call him Duke), ‘Frank, what about this? You had a part in it; what about this; what about that?’ And at first I thought, Now, wait a minute; let’s don’t go overboard; let’s don’t be too critical. You know how you justify yourself the last minute. “But I finally got to the place where I said, ‘Ann, I’m in trouble; I can’t refute these arguments; it’s wrong; it’s terribly wrong; it’s frightfully wrong; and what am I going to do about it?’ Well, I went through some real soul searching for about four months, and I sat down and wrote one of the most difficult letters of my life, I think.